Taking cue from top trends, OiOi offers parents fashion-forward and functional diaper bags. 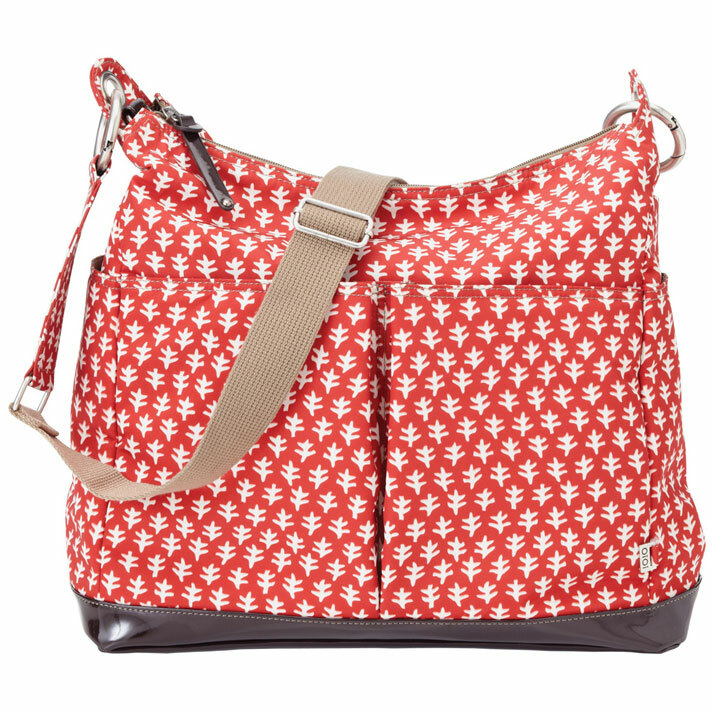 The Monaco Mini Geo hobo delivers fresh, nautical style for carrying baby and toddler essentials. 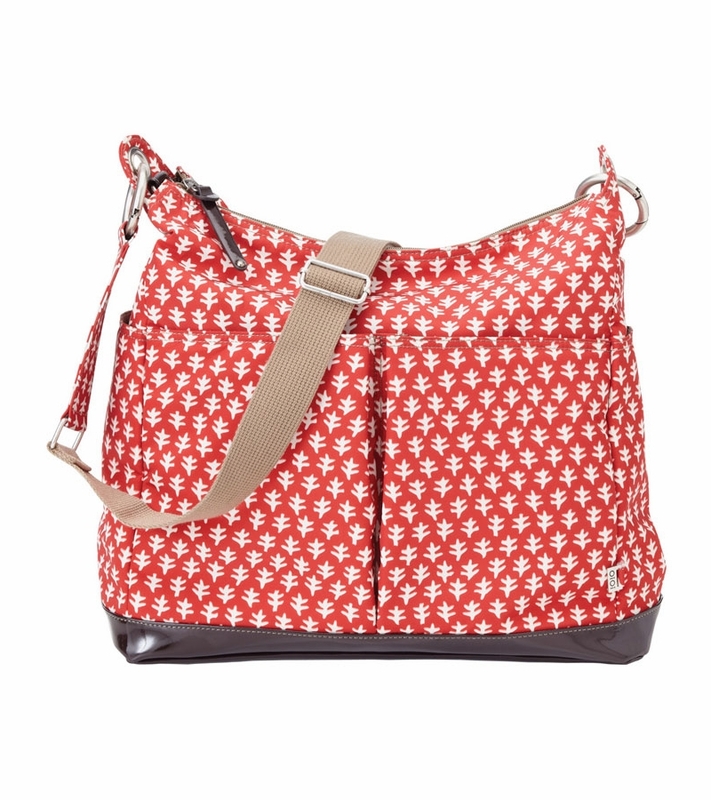 Designed with a white leaf pattern against a red background, this mom-friendly accessory's exterior features convenient storage pockets and chocolate brown patent polyurethane trim. 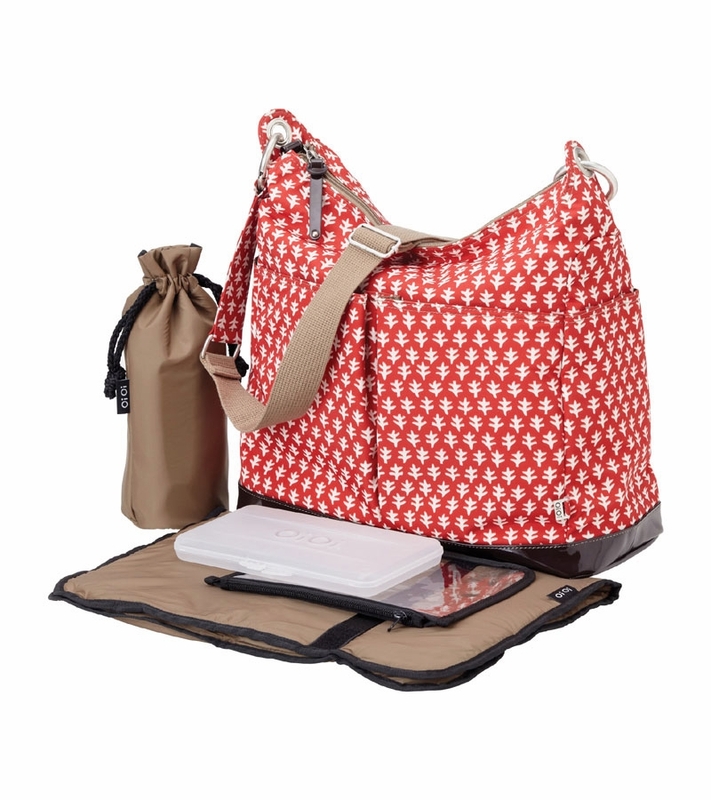 Opening to reveal multiple interior pockets, the tote also includes a microfiber changing pad, insulated bottle holder and a wipes case for on-the-go families. An adjustable shoulder strap and fixed stroller straps allow for multiple carrying options. Includes protective metal feet, matte nickel hardware and water-resistant nylon lining. Made from printed microfiber. Spot clean.